“Kate Soper creatively explores the full spectrum of the human voice. The American Academy of Arts and Letters announced today the winners of our country’s two largest prizes for composers of vocal music: the Charles Ives Opera Prize of $50,000 and the Virgil Thomson Award of $40,000. The Virgil Thomson Award in Vocal Music, which was endowed by the Virgil Thomson Foundation, is being given to composer and performer Kate Soper. The Charles Ives Opera Prize, made possible by the royalties to Charles Ives’s music, awards $35,000 to a composer and $15,000 to a librettist. It is being given this year to composer Lewis Spratlan and librettist James Maraniss for Life is a Dream, which premiered at the Santa Fe Opera in 2010. The New York Times commented today: “The two relatively new awards show how the legacies of two leading figures in 20th-century American music are supporting 21st-century composers.” Candidates were nominated by the Academy’s composer members, and winners chosen by a special jury of members who met frequently between June 2015 and February 2016. The awards, which will be given at the annual Ceremonial in mid-May, “reflect the essential mission of the Academy: to recognize, identify, and reward works of highest aspiration and superior craft by contemporary artists in our culture,” said Yehudi Wyner, President. The opera Life is a Dream, which has won the 2016 Charles Ives Opera Prize, has a long and unusual history. It was completed in 1978 by composer Lewis Spratlan and emeritus professor of Spanish at Amherst College James Maraniss, and though a concert version of its second act won the Pulitzer Prize in 2000, it was never fully staged until its world premiere at The Santa Fe Opera in 2010. 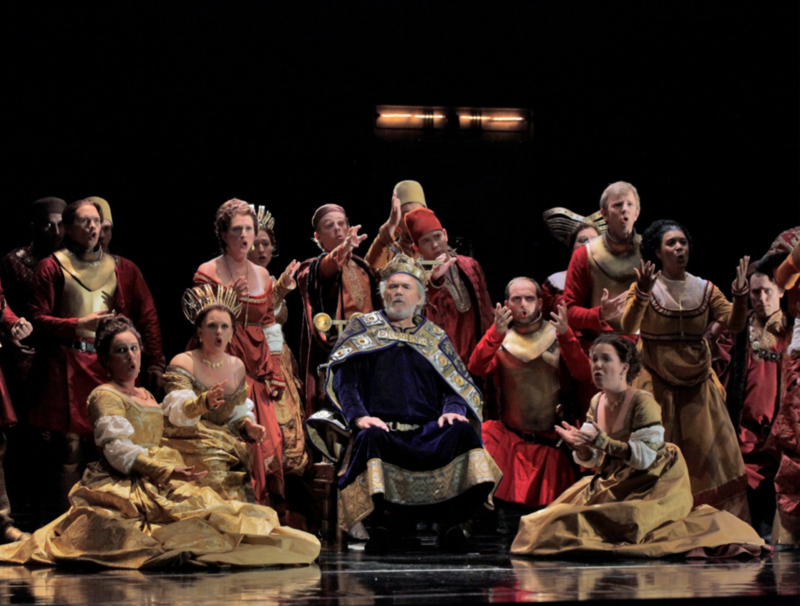 The premiere was called “mystical, challenging and viscerally dramatic” by Anthony Tommasini of The New York Times, who praised it as “an important opera, the rare philosophical work that holds the stage.”Charles MacKay, General Director of The Santa Fe Opera, said in a statement: “The Santa Fe Opera was proud to present the world premiere of Life is a Dream in 2010, and we offer heartiest congratulations to Lew on this most recent achievement. The American Academy of Arts and Letters could not have chosen a more worthy recipient for the prestigious Charles Ives Opera Prize.” Based on the 1635 play by revered Spanish playwright Pedro Calderón de la Barca, Life is a Dream explores questions of nurture versus nature, reality versus fantasy. It tells the story of Segismundo, a Polish prince who was banished as an infant by his father, King Basilio, and raised under harsh conditions in a remote prison tower. Basilio summons Segismundo to court when he is a young man to give him a chance at succession, but is appalled by his brutish behavior and sends him back to prison. He is drugged for the return trip and told the whole misadventure was only a dream. Meanwhile, Basilio chooses a nephew to succeed him, but when the Polish people learn of Segismundo, they free him from prison and rally behind him in civil war. Segismundo’s army is winning, but when given the opportunity to kill Basilio, he spares his father’s life. Basilio, realizing his son has changed, declares him heir. The Charles Ives Opera Prize was given once before, in 2008, to the composer Stephen Hartke and librettist Philip Littell for The Greater Good. This prize is made possible by royalty income from the music of Charles Ives, whose wife Harmony Ives bequeathed to the Academy the royalties to her late husband’s music in 1969. KATE SOPER is a composer, performer, and writer whose work explores the integration of drama and rhetoric into musical structure, the slippery continuums of expressivity, intelligibility, and sense, and the wonderfully treacherous landscape of the human voice. Her music has been described as “exquisitely quirky” (The New York Times) and “epic” (WQXR); as a performer, she has been praised as a “dazzling vocalist” (The New Yorker) and likened to “Lucille Ball reinterpreted by Linda Blair” (Pitchfork Magazine). Soper is a co-director and vocalist for Wet Ink (www.wetink.org), a New York City-based new music ensemble dedicated to seeking out and promoting innovative music across esthetic categories. Her first portrait album Voices from the Killing Jar was released on Carrier records in 2014 and she recently presented her first opera, Here Be Sirens, at Dixon Place. On the horizon are Ipsa Dixit, an evening-length cycle of duos and quartets for voice and instruments to premiere in December 2016, a new work for voice and chamber orchestra for the L.A. Philharmonic’s Green Umbrella Series, and an operatic retelling of The Romance of the Rose for fall 2017. She graduated from Rice and Columbia and currently teaches at Smith College. The music of LEWIS SPRATLAN is marked by both immediacy and depth of feeling, joie de vivre, and the highest technical expertise. He is the recipient of Guggenheim, Rockefeller, and NEA fellowships; an Arts and Letters Award in Music from the American Academy of Arts and Letters; and the 2000 Pulitzer Prize in Music for his opera Life is a Dream, premiered by the Santa Fe Opera in 2010. He went to Yale College and the Yale School of Music, and is an emeritus professor of music at Amherst College, where he taught from 1970 to 2006. Recent premieres include Of War for chorus at the University of Illinois Urbana-Champaign, 2015; Bangladash for piano in Dhaka, 2015; REDCAT at the Walt Disney Concert Hall, Los Angeles, 2015; and Dreamworlds for piano with four hands at Mount Holyoke, 2016. Common Ground for chorus and chamber orchestra will premiere at the Episcopal Cathedral of Philadelphia on June 25, 2016, and will be repeated on August 21 at Merkin Hall in New York City. He lives in Amherst, MA. JAMES MARANISS is an emeritus professor of Spanish at Amherst College. He has written On Calderón (University of Missouri Press, 1978), and translated into English plays, essays, stories, and novels by Calderón, Antonio Benítez-Rojo, and Jorge Valls. In addition to writing the libretto for Life is a Dream, Maraniss provided lyrics for Jansky’s Hiss, music by Lewis Spratlan, and has written articles, fiction, and drama about Spanish history and literature. He received his bachelor’s and master’s degrees from Harvard, and his Ph.D. from Princeton. He lives in West Chesterfield, MA. 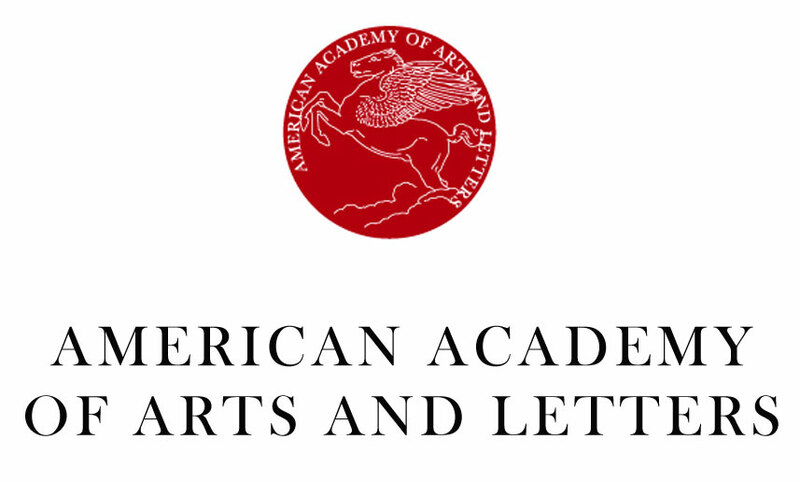 The American Academy of Arts and Letters was founded in 1898 as an honor society of the country’s leading architects, artists, composers, and writers. Founding members include William Merritt Chase, Kenyon Cox, Daniel Chester French, Childe Hassam, Henry James, Theodore Roosevelt, Elihu Vedder, and Woodrow Wilson. In addition to electing new members as vacancies occur, the Academy seeks to “foster and sustain an interest in Literature, Music, and the Fine Arts” by administering over 70 awards and prizes, exhibiting art and manuscripts, funding performances of new works of musical theater, and purchasing artwork for donation to museums across the country. The organization is located in three landmark buildings, designed by McKim, Mead & White, Cass Gilbert, and Charles Pratt Huntington, on Audubon Terrace at 155 Street and Broadway. Copyright © 2016 Aleba & Co., All rights reserved.